Helen Swift (soprano) started her singing career in Liverpool as a member of the National Youth Choir of Great Britain at the age of fourteen and had early success in the BBC Choirgirl of the Year competition. She then went onto win a choral scholarship to Clare College Cambridge where she studied music and then studied opera in London and Dublin. Now based in Oxfordshire, she has performed in many of the major concert venues including St Paul’s Cathedral, Grace Cathedral (San Francisco) and Domplatz (Salzburg). Recent opera roles include Pamina in the Magic Flute with the Magdela Opera Group, Oberto in Alcina with Cambridge Handel Opera Group and Susannah in Figaro. Helen has worked as a choral director, both with children's and adult choirs for many years, performing a variety of music from classical to jazz, folk and pop. 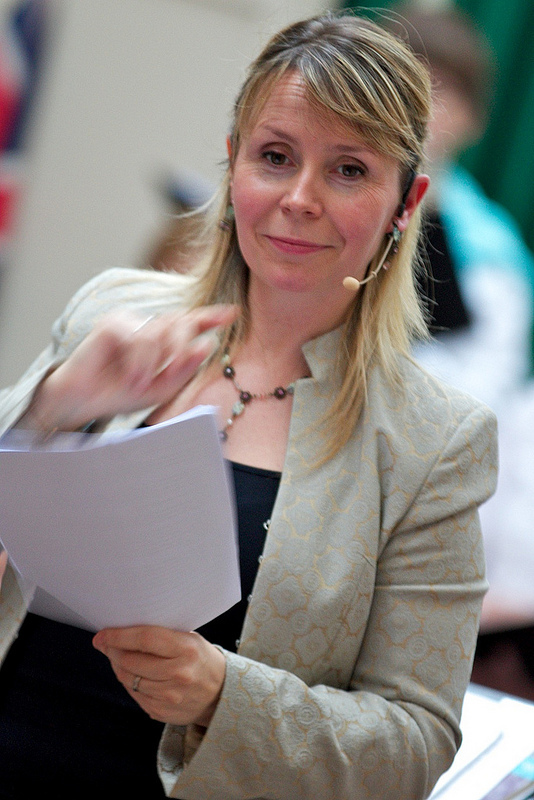 She has worked with choral societies and church choirs, conducting several recordings for television and radio and has worked with the National Youth Choir of Great Britain. As well as being Musical Director of Towcester Choral Society, Helen also carries out the same role with Oxford Welsh Male Voice Choir and Thame Choral Society. Helen passionately believes in the power of the human voice and the widespread benefits that music and singing can have in people’s lives. She has worked with many distinguished artists, including Sir David Willcocks, Stephen Cleobury and John Rutter. She has appeared as a soloist on many CD’S including Lesley Garrett’s album “Travel into Light”, recently recorded a Max Richter film score and DVD for comic Lee Evans. Helen has written music for children’s choirs and orchestra with a performance in London of her adaptation of Roald Dahl’s “Little Red Riding Hood and the Wolf”. Outside her musical world Helen loves travel and enjoys sport from marathon running to kick-boxing and salsa dancing.